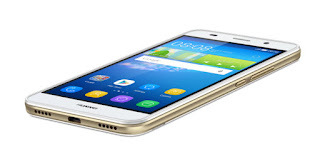 HUAWEI carefully produced this phone and targeted it to a larger customer base as it is the upgraded variant of the Huawei Y6. it has at least one feature that someone want to see in his phone like the 4G LTE network support. It was released few days ago this February with 16GB internal memory and 2GB RAM and comes with many colors for you to choose from. Checkout the complete specs of this device below.